In Colorado, I am outnumbered. While our citizens love wine and are increasingly more curious about it, I won’t kid myself: beer is this state’s first love. (Weed is second). My best friend from childhood is really into beer — in particular, Belgian beers. I’ve known him since I was four, I’ve climbed mountains with him (no really, actual mountains), and we’ve watched each other become dads. This last fact means we don’t hang out as much as we used to, and one-on-one time has to be forced into the schedule, otherwise it never materializes. We had the great idea (around Christmas) to get away for a weekend (we finally did in May) and introduce each other to our alcohols of choice. If you have a friend like this (i.e. your friendship is older than dirt; they like beer, you like wine), I highly recommend doing what we did. We got away for the weekend, to a condo in the mountains, and we had back-to-back nights to impress each other. Matt went first. 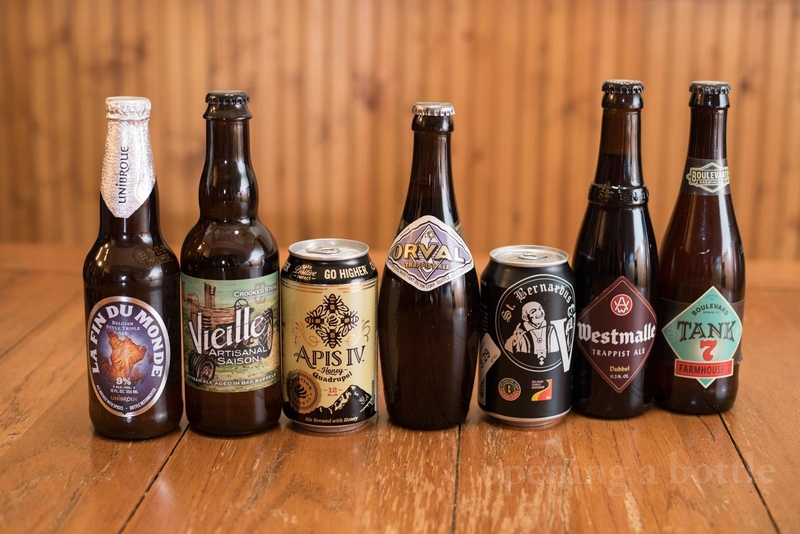 Friday night he poured seven Belgians including a Trappist ale, a farmhouse ale, and a double and a quad. These last two beers sounded athletic, which maybe is part of their appeal for him (he’s a fencing coach). Indeed, some of these beers were a struggle, for both of us. Matt likes a good struggle. We sampled the beers slowly from 4pm to 11pm, Matt going so far as to check one beer’s temperature with an instant-read thermometer. We talked about the beer-making process, the raw ingredients, aromas and tasting notes, body and finish. It was surprisingly familiar terrain for me, and I loved it. The Orval Trappist Ale was easily my favorite. The next night, it was my turn. Now, two dudes downing several bottles of wine sounds a little sad, so I had to carefully choose what Matt needed an introduction to. 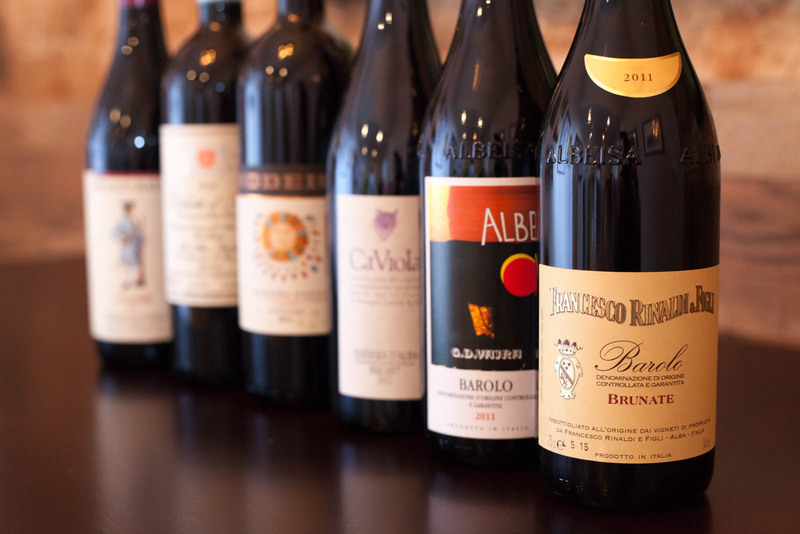 If you read this website often, you won’t be surprised that I chose my two best buddies in the vinous world: Barbera and Nebbiolo. 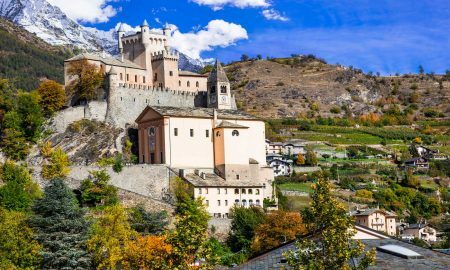 I also brought a Chablis (just in case we needed to debunk some myths on Chardonnay … we never got there) and a Sagratino Montefalco, just to show the role of tannin in a wine. Sagratino is blisteringly tannic. We also had salami and piave vecchio on hand to keep our stomach’s satiated while the pasta cooked. 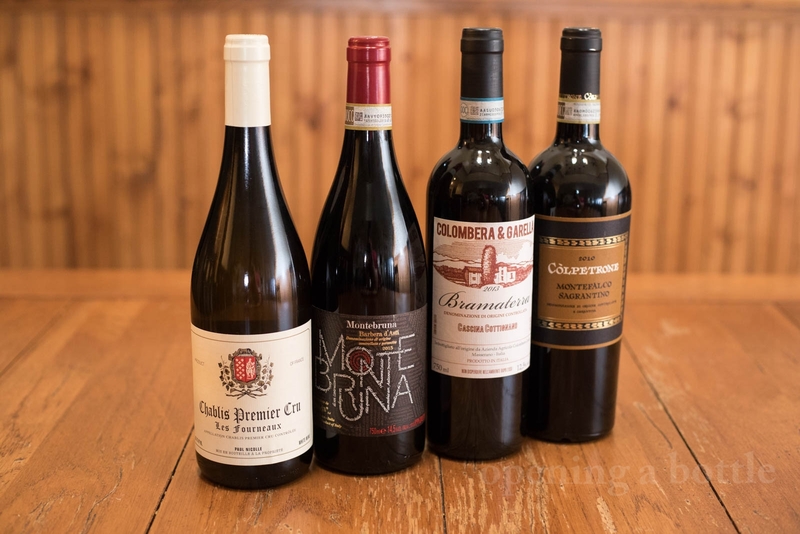 What was interesting to Matt — and therefore me, because so much of this exercise was about learning lessons from first impressions — was how dynamic the wines were with air, especially the Nebbiolo-based wine, a 2013 Colombera & Garella “Cascina Cottognano” Bramaterra (★★★★★). 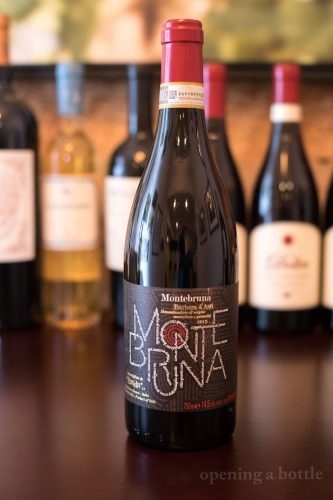 He initially preferred the 2015 Giacomo Bologna Braida “Montebruna” Barbera d’Asti (★★★★ 1/2), citing it was easier on the palate and fruitier. Than an hour later, he revisited the Bramaterra. 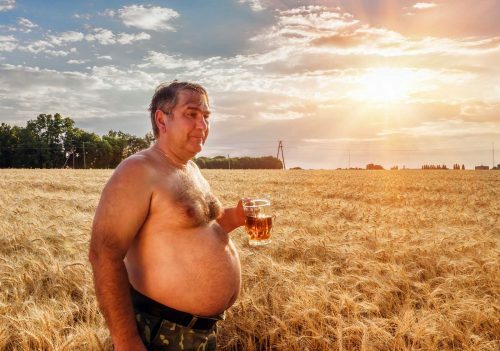 Of course, some stock photographers choose to go this route in depicting the ravages of beer consumption. Take your pick. A passion for drinks is riddled with self-contradiction because it fosters a gentle version of tribalism. 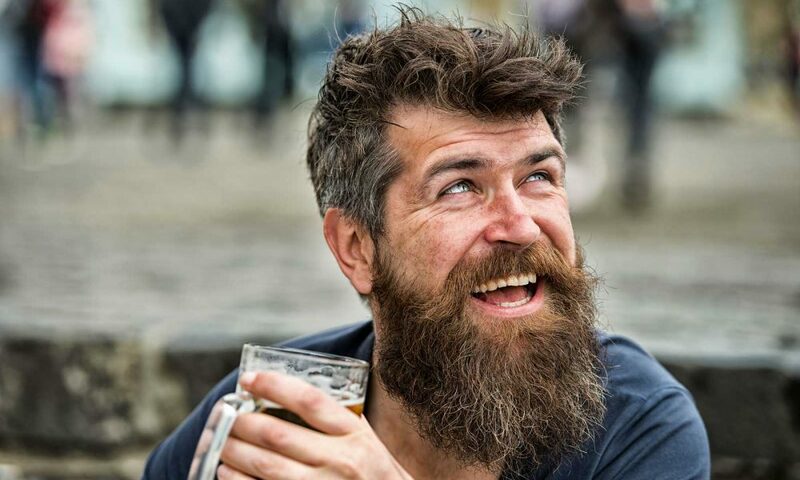 It starts with “I’m a beer person” and “I’m a wine person,” then it devolves into more specific camps “I’m an IPA guy” or “I only drink natural wine.” Further, we tend to take these passions and stuff our rucksack with facts, figures and truths, a load of weight which makes us forget that feeling of running through the trees for the first time, examining every detail of the forest with wonder. Drinking becomes work. Note-taking becomes an obsession. I’d never identified the smell of beer as orange peel before. That was cool to me, and so it was cool to Matt. He never witnessed a wine get better with hours of oxygen. That was cool to him, and so it was cool to me. Find a beer buddy and let him or her pour you their passion. Then do the same. We need each other. Know Your Audience – If your friend is a full-on Tasting-Notes-and-Proper-Serving-Temperature Beer Dork, then feel free to bring your aroma wheel. 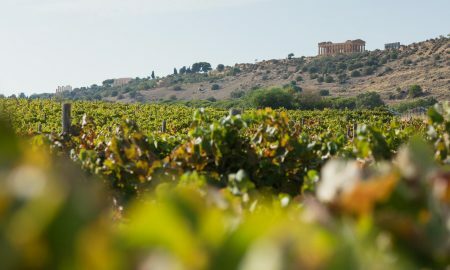 But for many, our wine passion is perceived as fussiness, which can be offputting. In which case, dial it back and let them steer the conversation. 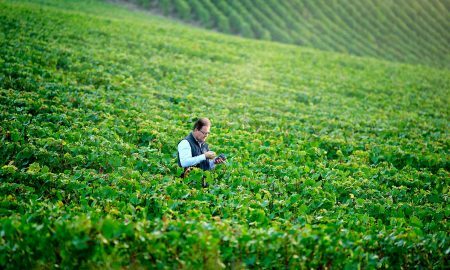 Keep It Small and Focused – The temptation with this kind of tasting is to start with the basics: a red, a white and a rosé. But beer drinkers are just as discerning as us, and you want to create something exciting. 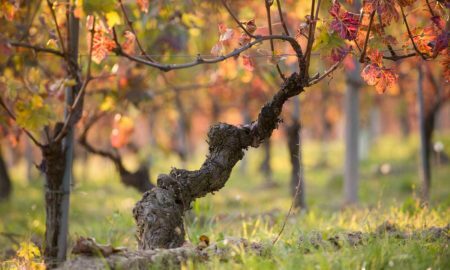 Old World vs. New World is a better place to start, or a granular look at one wine region through a couple of wines. Or a single grape variety you are passionate about. 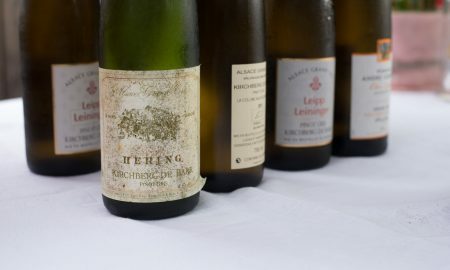 I struggled to narrow my list of wines to something reasonable, focused and actually illuminating. I brought a Chablis as well, but only because Matt had noted that white wines were boring to him (or, as he immediately clarified “maybe I’ve just never found a good one”). In the end, we stayed focused on two Piedmont reds because they immediately offered a contrast and they paired with the food we had. And since there was just two of us, that worked perfectly. We also opened the Montefalco Sagrantino, just to compare the tannins from Nebbiolo to Sagrantino. Since that’s a wine you can recork and enjoy for a few days, a single sip from it was worth it. 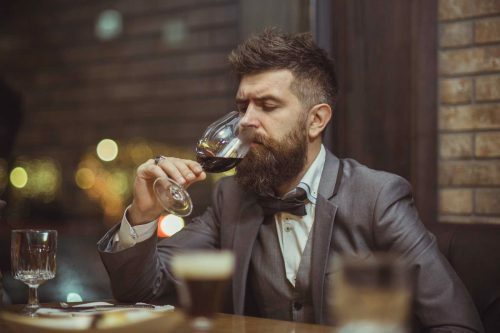 Encourage Spitting – Unless you are comparing a Moscato d’Asti to a stout, wine always has a higher alcohol by volume than beer. Because of this, it can take some beer-drinkers by surprise (not to mention ourselves, when presented with such an opportunity to taste, taste, taste). Worried about wasting the wine by spitting it out? Don’t be. Just think of it as an educational write-off: you used to highlight college text books right? 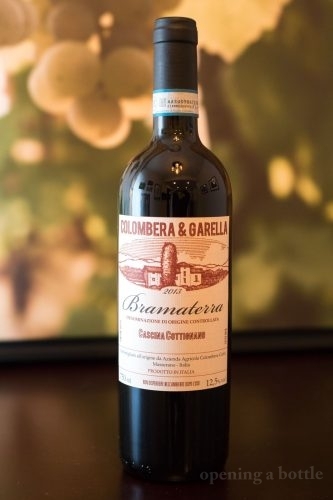 As an aside, the Colombera & Garella Bramaterra remains one of the best wines I’ve enjoyed this year, so I’m including a write up of it, as well as the Montebruna from Braida and a few impressions as a non-beer drinker on Orval. 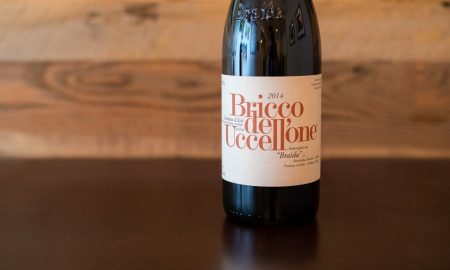 Tasting notes: An outstanding wine that shows so much purity of Nebbiolo character, even though it is only 70% Nebbiolo. 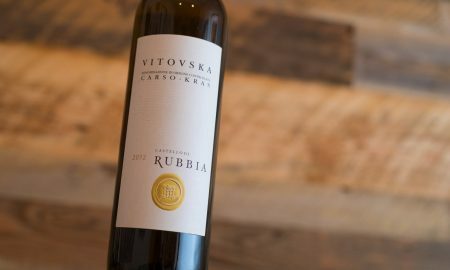 Already pale in color, it offers up aromas reminiscent of sweet black cherry, truffle, anise seed, sweet vanilla, leather, rose and garden dirt. Approachable and delicious even without decanting, the tannins are just right and only ease their grip after an hour or so. But its the fruit tones on the palate that make this wine standout. 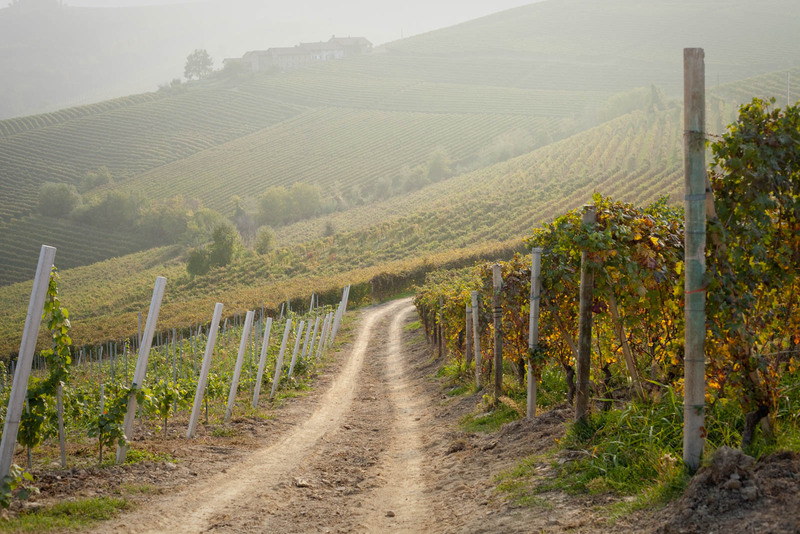 It manages to seem succulent without losing those earthy and savory notes that define Nebbiolo. The finish is clean and minerally. Serving suggestion: Pappardelle beef stroganoff or hard cheeses. 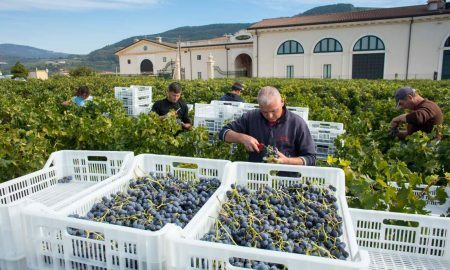 Tasting notes: Another bold and full Barbera d’Asti from Braida di Giacomo Bologna, which seems to be the winery’s style of Barbera. 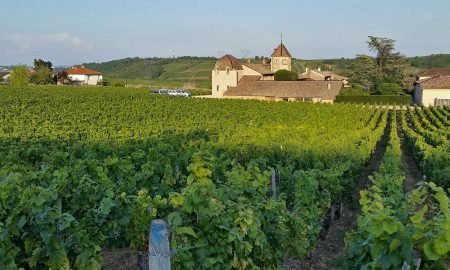 The strong aromas recall profuse amounts of black currant and sour cherry, as well as violets, vanilla bean, leather and even a faint whiff of green bell pepper, although not nearly enough to confuse it with Cabernet Franc. (It’s Barbera and it smells like it). Very polished on the palate with substantial alcohol and cutting acidity. Balanced and rich. Have it both ways. 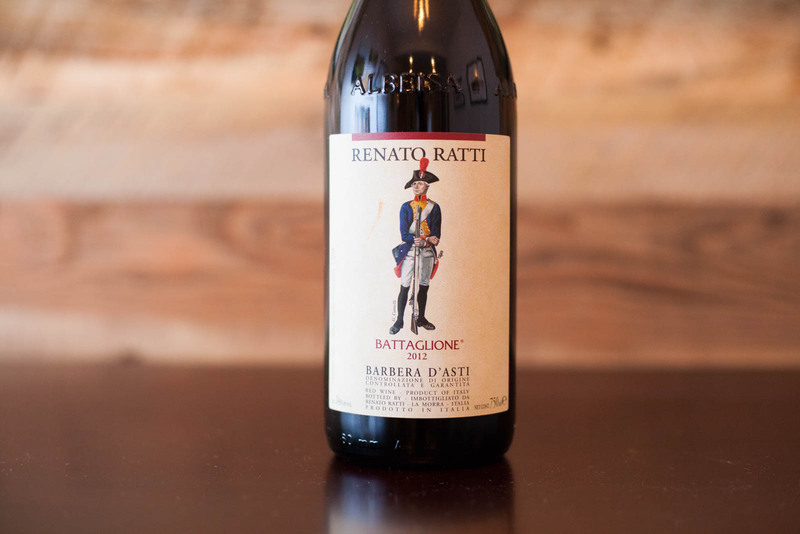 Serving suggestion: If Barbera d’Asti is a quintessential pizza wine, than this Barbera belongs with a Chicago deep dish. 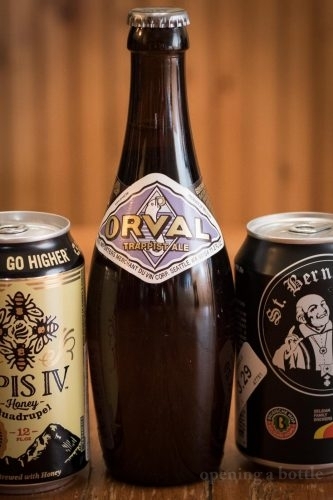 Facts: Made by Trappist monks of the Orval Abbey in Belgium — whose monastic orders include donating much of the revenue to charity — this beer is one of only 11 trappist ales in the world. The beer is dry-hopped during its three week fermentation, which utilizes Brettanomyces yeast. Learn more about the brewery. Why I Loved This Beer: It has a wonderful balance of citrus, bitter hops and a somewhat creamy sensation. I would have drank 10 of them and then used those perfectly shaped empty bottles to play duckpin bowling in the hallway of the condo, but … that’s against the condo covenance. Six Wines. Three Head-to-Head Battles. Everyone's a Winner.